Summary: Law is a difficult and sometimes cruelly demanding profession. 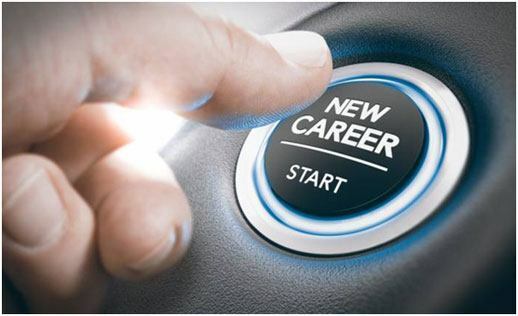 If you are thinking of leaving law, read this article featuring attorneys who have left their law practice for other careers. The practice of law isn’t for everyone. Long hours doing work that can sometimes be tedious, not to mention working around personalities who tend to hover more in the dark than light, can take a toll on a lawyer. If this summarizes your situation, check out the professions these ex-attorneys landed as their new careers. Do a Google search for the best non-legal jobs for lawyers, and you’ll get a venerable slew of informational sources. Hard to believe, but there are many attorneys who go through the rigors of undergraduate preparation for law school, then law school itself. They sit for the bar, pass the bar, and are either hired by a law firm or start their own practice. Some are successful. Some are not. Some enjoy their work -- at least to a point. Others hate their work right off the bat. Regardless of success, love or hate, a good portion of these attorneys will one morning get up, take a long look at their reflection in the mirror, and decide they can no longer stand the profession of law. Honestly, nothing is wrong with this. The romance and the pragmatics of law are very distant bedfellows. Sure, television and movie dramas make the practice of law out to be something chivalrous and good, while also a profession that, depending upon your liking of men and women, can be a babe magnet with powerful romantic outcomes. Oh, and then there’s the money. The money’s good, is it not, particularly at an associate’s starting rate of close to $200,000? The pragmatics of law are a much different story: For to be a BigLaw associate in a BigLaw firm, you’re going to have to prepare yourself to work. And by work, it’s meant that 60 billable hours work weeks are by no means unheard of. To many, it’s simply not worth it. Problem is those many still have to work. This is why so many attorneys are interested in non-legal jobs which in most instances, has made their lives more tolerable. There is no doubt that the practice of law can make for a demanding and often difficult career. As an associate you more than likely worked obnoxiously long days and nights with the hope that you bill enough hours or build a book of clients that will keep you on track to one day become partner. But what if it doesn’t work out? Or, what if you burn out, only to find practicing law isn’t quite in you? It can happen at any time from when you’re a law student all the way up the ladder to when you are a senior partner. No one is immune. It can simply just happen. Earlier this year we published a LawCrossing feature, “The Top 12 Non-Legal Careers for Lawyers Who Do Not Want to Be Lawyers.” This article follows that one in which this iteration showcases first-person accounts of lawyers who have left law for other professions. So if you practice law but are unsure if you want to stick with it, stick with this article to read what professions other attorneys have jumped ship for, and as a consequence, are thoroughly satisfied they did so. One of the most rewarding non-legal jobs can be serving as a mediator. Mediators help parties to resolve disputes. They can be appointed by the court. It doesn’t require a JD or even a law license in most jurisdictions. There is a high level of satisfaction and a very flexible schedule, yet you can still apply skills from law school, such as drafting a settlement agreement and even negotiation. Importantly, you can choose when to mediate a case. This is great for parents. And unlike the adversarial nature of a litigation practice, a mediator is really a “peacemaker." Bottom line: Mediation is an ideal job that doesn’t require a JD, but a law degree certainly comes in handy for it. I am a licensed attorney but realized after my first couple legal jobs that it wasn't the right profession for me. But one part of law that I really enjoyed was writing. I wanted to make a career out of educating and persuading people through writing, so I got into digital content writing and content marketing. I am now a financial writer with Fundera, a NYC-based fintech startup. I write about financial products and recommend the best products for small business owners. Without my strong background in writing a variety of persuasive legal memos and briefs, I don't think I'd be where I am today. (I was licensed in WA, and I'm now living and working in NYC). I graduated from the Univ. Of South Carolina School of Law in 1983 and passed the bar shortly thereafter. As a result of an ROTC scholarship, I wound up in the army shortly thereafter and found my way into intelligence and never looked back. Law school, with its heavy emphasis on reasoning skills and evidence-based decisions coupled with the importance placed on clear oral and written communication is a perfect prep for life as an intelligence analyst. I am now a professor teaching the next generation of analysts. It was a great choice for the career I fell into. Practicing law isn't everyone's dream or calling, so I know that many law grads find themselves thinking "now what?" once they realize being an attorney isn't exactly what they want to do. There are obvious options someone could pursue with their law degree-- politician, mediator/arbitrator, or law professor. However, many people don't realize that they can totally escape the legal field and still put that JD to good use. 1. HR Director: The HR Director is usually in charge of strategic staffing, benefits, compensation, development and training, and the budget. This role requires strategic planning, attention to detail, and fine-tuned people skills. This position is also responsible for making sure the company adheres to legal requirements at the state and federal level. 2. Financial Analyst: If you're the analytical type and love crunching numbers, then perhaps a job as a financial analyst is best suited for you. This position ensures that businesses are making sound investments. They frequently assess stocks, deals, or other investment opportunities to see how they can benefit (and how much). 3. Technical Writer: All law students are aware that the legal profession is full of reading and writing. They are skilled at understanding complex legal information and turning it into something more manageable. Something that the average person can understand. This is very similar to the role of a technical writer. They are tasked with conveying information between 2 parties in a way that makes sense to one another. Their biggest tool is the ability to listen-- and we all know that law school trains your ears for important details. Most "ideal" would depend upon the person's interests, skills, and willingness to adapt. (1) Investment banking. Nothing competes with their bonuses if making ridiculous amounts of money is the goal. (2) Banking often offers a long term career with lower burn out than # 1 and having legal training appears to help especially for lawyers who become loan officers or involved in trusts and estates. (3) Many lawyers become sales representatives for companies whose customer base consists of lawyers. The most obvious are the legal publishing companies. Given the disruption caused by the internet (Google Scholar, FastCase, etc. ), there appear to be far fewer of these opportunities. Other lawyers became proficient at on-line marketing and/or search engine optimization ("SEO"). Many lawyers hire them as consultants for their online marketing partly because the fact they were a lawyer builds trust. (5) Many lawyers have excellent writing skills. Many lawyers have written general interest books (e.g., history) and others have chosen esoteric legal fields where their practice showed them there is a market and a need. (6) I am surprised by how few lawyers enter international business / trade. The ability to navigate complex trade regulations and tax consequences would be advantageous. But, the burden of educational loans probably makes this realistic for only a few of the recent graduates. (7) Some former lawyers enjoy teaching. Obviously, the experience and training in speaking and writing makes this attractive for many. I loved practicing law. It was intellectually challenging and rewarding. Moving from work as an attorney to helping law firms market their practices online has been fun, challenging, and immensely rewarding as well. In some cases the skills overlap: Marketing requires the ability to present a compelling message that convinces someone to take a desired action, which is very much like constructing a persuasive legal argument. I also find that writing and editing content for attorneys' websites is a great way to apply the knowledge and skills I learned in law school and further developed while practicing law. Finally, digital marketing channels such as SEO, social media, and paid ads are founded on audience research, which also connects nicely with someone who was trained in and practiced law. I am a former Toronto lawyer who now writes humor. After 40 years I decided that the world would not miss another lawyer but could sure use more humor. I recently launched my new book entitled, Poutine on the Orient Express: An Irreverent Look at Travel. Both my husband and I are licensed attorneys who formerly practiced law. My husband runs a clothing manufacturing company, which he owns. I purchased the company I now own out of Intuit (I ran the division as a general manager under Intuit previously). We find that being entrepreneurs is a great use of a JD. Certainly, JDs are not required for entrepreneurs, but they are certainly useful. We learned a lot in law school (and business school – I have an MBA), but we find joy in our independent businesses. We have great flexibility and the thrill of entrepreneurship, but we also have great legal backgrounds that help us along the way. I also serve as a writer for outlets like Forbes & American Express. That is also a great career for a JD who likes to write – even about legal topics. Many outlets are looking for legal perspectives on different areas of law, business & life. As founder and CEO of Career Strategies Group, I have been counseling lawyers on career alternatives for more than 25 years. My clients have ranged from 2nd and 3rd year associates to aging partners at AmLaw 100 firms. The commonality among them is that they are seeking careers that are more fulfilling than the private practice of law. I don’t believe the old saying, “You can do anything you want with a law degree,” but experience has confirmed you can do many, many different kinds of things with a legal background that don’t require a JD. Here’s a short list of some of the types of non-legal positions my clients have taken. These positions often involve persuasive communications and advocacy skills, issue spotting and analysis talents, writing abilities, deal-making and negotiation skills, and/or public speaking abilities. Policy Analyst: These types of positions require a lot of research and writing, an ability to interpret and understand statutes, and a strong grasp of the lawmaking process. Financial Advisor: there is an incredible amount of crossover between law and financial planning, especially when it comes to matters such as business, tax, and estate planning. Business Operations: JDs are trained to manage risks, so in this role they are able to understand the legal ramifications of making various business decisions, in addition to being able to implement efficient protocols. Really, though, any position that requires strong research and writing skills, a comfort with ambiguity and extreme precision could be a good fit for a non-practicing attorney. I am an attorney. For the past six months, I have been writing articles relating to politics and/or social issues, many of which have been published in various online publications. While a law degree is not needed to be a writer, it certainly helps. A legal degree provides some of the skills that are needed to be a strong writer. After all, a written piece should be logical, well-reasoned, thoroughly researched, and very well supported. It should also be free from grammatical errors. Lawyers can write about virtually anything, given their skills set(s). Of course, a legal education provides lawyers/attorneys with the tools to go into politics, academia, advisor roles, etc. Lawyers are definitely not limited to the practice of law. There are many opportunities available to lawyers outside of the practice of law. With some soul searching and drive, lawyers can find happiness and success away from the traditional practice. It is easy to see how the legal profession can open the door to many other professions, both related and unrelated to the practice of law. The critical thinking and reasoning learned in law school can apply to a variety matters that aren’t legally related. Writing, also, is a large part of law, which can translate into anything word-related from marketing to becoming a novelist. And as many attorneys seem to have an affinity for teaching and learning, teaching opportunities whether they be in financial advice or academia can come quite easily to a well-rounded lawyer. In all, if you are a lawyer and currently feel overburdened at work, there’s a strong chance that burden will grow more expansive as time goes on. If that’s the case with your current legal profession, use these thoughtful accounts given by other lawyers who have jumped the legal ship to begin new and more rewarding careers. The best thing about LawCrossing is its huge number of job listings. LawCrossing Fact #108: LawCrossing is growing every day -- and fast!